A mobile service was conducted under the guidance and chairmanship of Hon. Chief Minister Z.A. 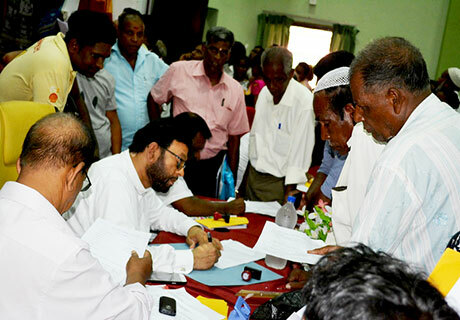 Nazeer Ahamed with the collaboration of Provincial Ministries and Departments, District Secretariat and other Central Government Agencies on 14.05.2015 at Municipal Council Hall, Batticaloa. The objective of this mobile service is to seek solutions to the public problems faced in various sectors like agriculture, fisheries, industries, lands and irrigation, housing, local government services and other essential service sectors administered by the central government agencies. Around 1091 complaints were received during this mobile service. Instant solutions were sought to 672 complaints, remaining complaints were treated for further action within a scheduled period. Provincial Ministries, Departments, Statutory bodies and Central Government Agencies took part in this service. 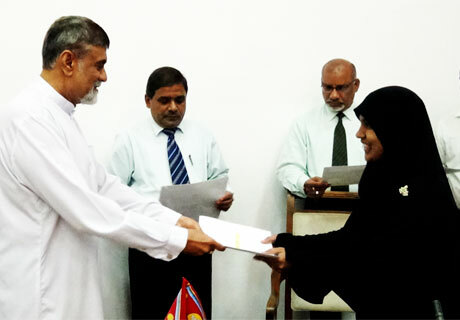 149 Sinhala and Tamil Teacher Assistants were recruited in Ampara, Batticaloa and Trincomalee Districts in order to fulfill acute shortage of Maths and Science Teachers in the Eastern Province. Hon. Governor, Eastern Province Rear Admiral Mohan Wijewickrama issued the appointment letters to 27 Teacher Assistants on 14th November 2014 at Governor’s Secretariat, Trincomalee. The selected Teacher Assistants will be absorbed in to the permanent Teacher Service within 05 years subject to complete a degree. 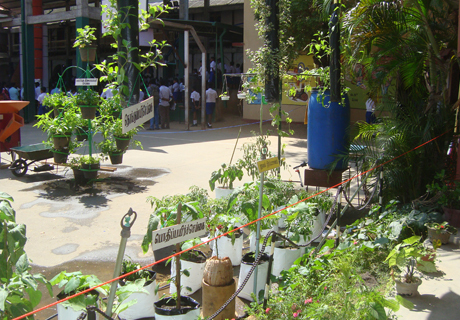 Department of Education jointly with Department of Agriculture conducted an educational exhibition on 29th & 30th May 2014 at St. Michael’s College, Batticaloa. Department of Agriculture, Batticalo,a displayed appropriate and modern techniques which are useful for students and urban farmers at the exhibition .Urban agriculture farm machinery and equipment, crop clinics, cyber extension and agricultural information were clearly displayed at the exhibition. Majority of the students officers, farmers and urban people benefited by visiting the exhibition.